This generation requires more than books and the teacher-centered delivery of instruction to classes. Schools should align their curriculum on the latest technologies and discoveries. They should keep in mind that the true essence of education lies not only on learning theories and formulas but mostly on its real-life applications. This is what 3D scanning in education aims to bring: an up-to-date model of learning that can enhance the knowledge and skills of modern-day students. But in what way, specifically, can 3D scanning in education improve teaching? Facilitates interactive and fun learning process. A traditional classroom setting is like a one-way street: the teacher teaches while students listen. 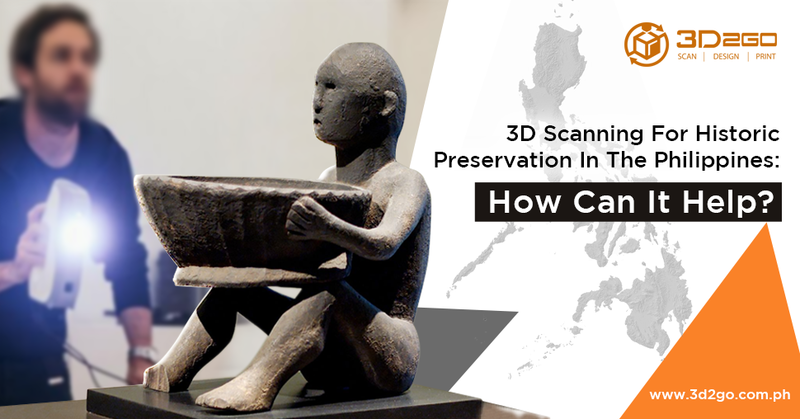 The use of 3D scanning in education is one of the elements that break this practice. It encourages a two-way flow of information and close interaction between the teacher and the students. Instead of asking students to sit idly and study a concept, it motivates them to inject abstract concepts with energy. Promotes student empowerment. The chief learning services officer at the International Society for Technology in Education, Jim Flanagan, believes that 3D scanning can empower students because it teaches them industry principles like a human-centered design. It also exposes students to design thinking. At an early age, they can learn to know and focus on the process of creating prototypes for a given design problem and have a unique hands-on experience in discovering various disciplinary core ideas. Makes tough and abstract concepts easier to learn. 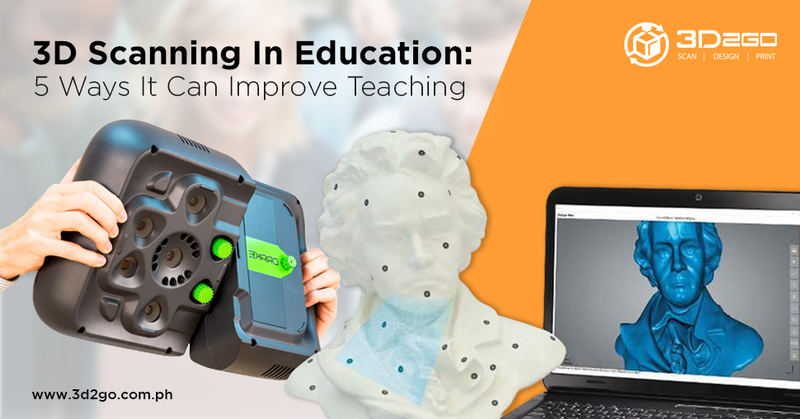 3D scanning in education provides a better avenue in teaching hard to explain concepts in class. Using books and presentations can only scratch the surface but using 3D scanned objects students can dive deeper in learning abstract theories such as thermodynamics, geometry, and anatomy. This is especially helpful in the STEM strand (Science, Technology, Engineering, and Mathematics) where the majority of the concepts cannot be grasped easily without using a proper model or representation. Improves the learning experience. Having the ability to get a 360-degree view of the lessons and actually getting a touch of it is the key to improve the learning experience of a child at school. For instance, history classes can create 3D printed models of both cultural and historical artifacts. Architecture and engineering students, on the other hand, can use it to explore in a deeper level the models of their works. Meanwhile, medical students can turn to 3D scanned models as a reference for enhancing their knowledge and skills in their field. The same goes with engineering students who can use it for inspection purposes and for the assessment of the structural integrity of mechanical designs. Accelerate three-dimensional learning. The 3D printing industry offers promising benefits and limitless potentials. It is already widely-used in different industries. Incorporating 3D scanning, 3D modeling, and 3D printing lessons as early as possible prepares them for this breakthrough. Who knows? The next person who can create a quantum leap in this discipline is still inside one of the classrooms — being fascinated with the abilities of the 3D scanner his or her teacher uses them in a demonstration? The world is moving in a constant, fast-paced manner. Teaching kids today, therefore, should continue to level up. 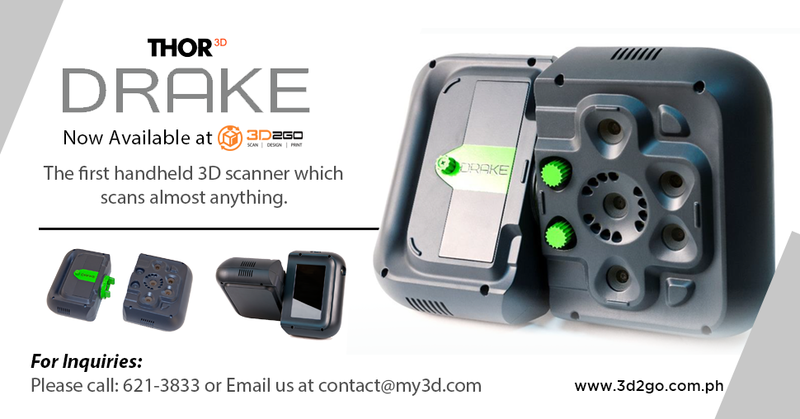 Interested in 3D scanning technology? 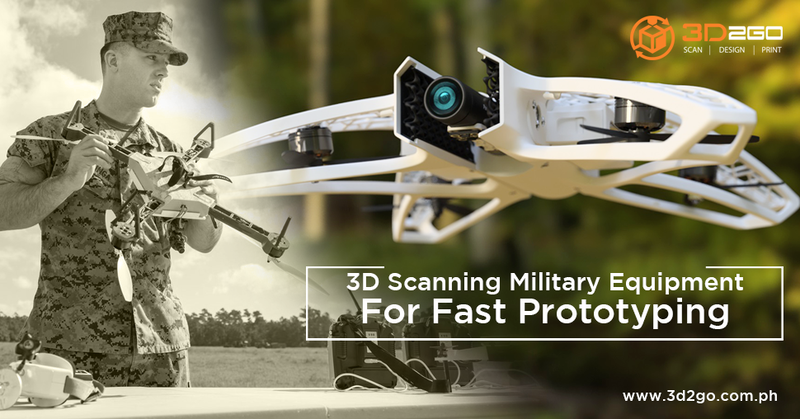 Or do you have a project that needs to be 3D scanned or 3D printed? Contact us to learn more about it.